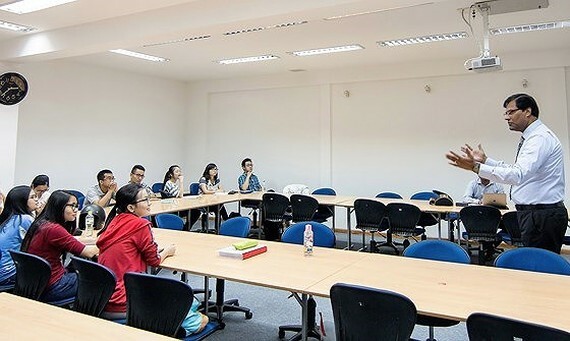 The Embassy of Sweden in Hanoi, Vietnam and the Ministry of Education and Training have signed an agreement to boost cooperation in teaching and learning English in higher education in the 2018-2020 period. The agreement fouses on encouraging the cooperation and exchange of experiences in training English, promoting English proficiency evaluation and English improvement for teachers and students. As per agreement, the Swedish Embassy will provide free practice tests in reading, listening and grammar; and free online training courses for local teachers as well as support the Ministry of Education and Training to develop English Training Skills Clubs at schools nationwide. Sweden has topped the list of the world's largest ranking of countries and regions by English skills by EF Education First.